Born country?” Exactly!!! Charley Jenkins has country roots that run deep. He was raised on a farm in Eastern Utah where he learned how to rope, ride and work hard. Life on the Jenkins farm revolved around cows, horses and of course rodeo. Country music is all about a real cowboy’s life like Charley’s. “Country is who and what I am. 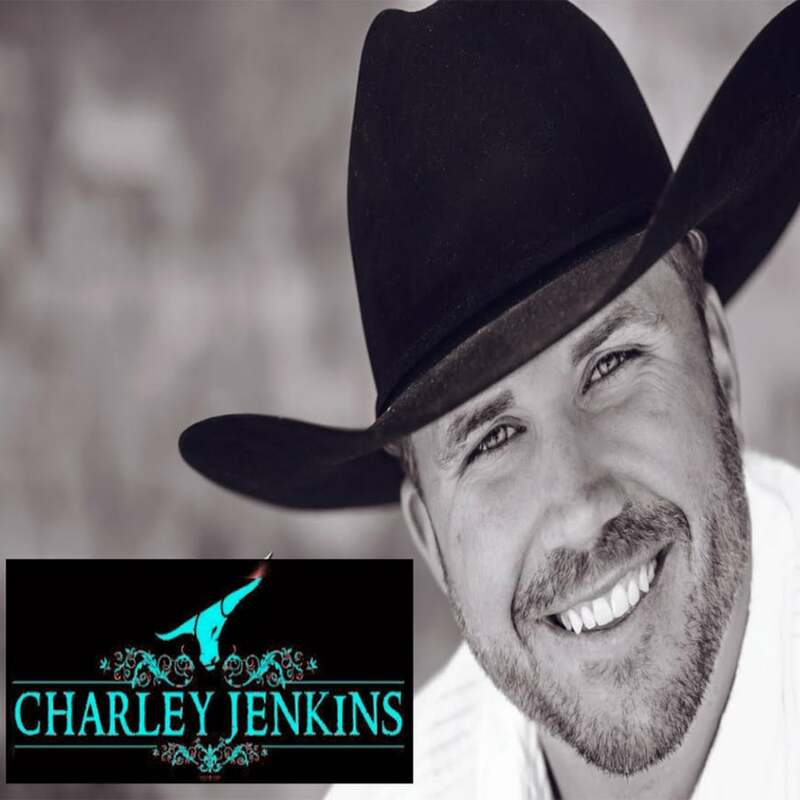 It is only natural for me to sing the songs that I love and relate to.” Charley’s first album, Greatest Hours was written and produced by Charley with the help of his friend, Jordan Allen. With the success of this album and some personal advice from George Strait, Charley decided to push his career to a new level. While in Nashville Charley released his second album titled, Round Here. He wanted this album to show who he is and what his music is all about. The title, Round Here was so fitting. Charley is proud of where he is from and the people who have influenced his life. It was this love that brought Charley back home in the summer of 2004 to help with the farm and to be with his family and his father who was battling cancer. “Coming home was an easy decision for me, and I will never regret it.” The Round Here album is a tribute to his father and he personally wrote the song, “Hero At Home” for him. With the overwhelming success of the Round Here album Charley recorded and released his third album in August of 2007 titled Ridin’ and his fourth in September 2009 titled Hold On. Each album reflects a true look into a country boy’s life with song titles such as “Duct Tape and Bailing Wire”, “Country Music”, “Right Where I Belong”, “Hold On” and “Rodeo Clown”. Charley is also excited to announce the release of his fourth album set to release June 2013. This is a Free Concert come and enjoy! !